Today the official Samsung Mobile Twitter account announced that the Galaxy S9 will be unveiled on February 25. They shared a quick video which shows the number nine coming into view along with the phrase, “The Camera. Reimagined.” After that we see that Samsung will have its Unpacked event on the aforementioned date, which is one day before MWC 2018 kicks off. 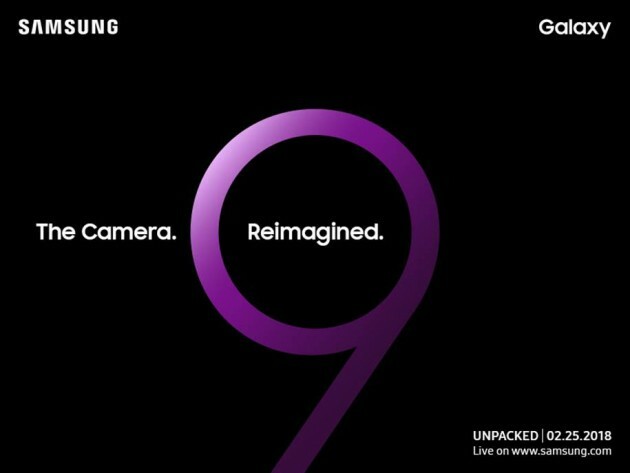 As is par for the course for these types of announcements, we don’t actually see Samsung put “Galaxy S9″ on the screen, but that huge number nine is a nice tease as far as teases go. Plus, this is traditionally a Galaxy event, so while it’s possible they might be hinting at something else, the easy bet is the Galaxy S9 gets unveiled in a little over a month.